Fluke® Process Instruments launches a new range of data loggers for temperature profiling in short and medium-duration processes in the electronics and paint & powder-coating industries. The Datapaq® DP5 series is optimized for ovens with a low clearance and reflow solder applications. The Datapaq DP5 is housed in a ‘machined from solid’ aluminum case ensuring maximum protection for the electronics when used in an industrial environment. It is available in a number of formats ensuring the best match of profiler to process restrictions. The Datapaq DP5 is available in 6 and 12 thermocouple input versions. They provide a ±0.5 °C accuracy and a ±0.1 °C resolution over the full measuring and operating temperature ranges. Measurements can be started and stopped manually, via two color-coded buttons, or triggered by time or temperature. The loggers combine ease of use with excellent availability and minimal running costs: it features a user-replaceable NimH battery pack, which can be recharged from any USB outlet or port. One 90-minute charge allows for more than 40 hours of profiling and the sampling intervals can be set between 20 milliseconds to 10 minutes. One logger can survey up to 10 ovens in succession, storing individual profiles with up to 600k data points in total. Downloads via the USB or Bluetooth connections can therefore be scheduled more efficiently. An integrated radio transmitter optionally provides real-time data from within the process. All process and system data can be communicated to factory-monitoring systems via the OPC interface. The standard Datapaq Insight software quickly transforms the raw data into actionable information. It now includes the Easy Oven Setup recipe calculator, SPC, and trending analysis. The new Datapaq Insight Professional software includes the Surveyor profiling tool that measures process performance at the critical board level and reduces the need for expensive Golden Boards. Furthermore, the portfolio includes a complete range of thermal barriers for all industry needs. 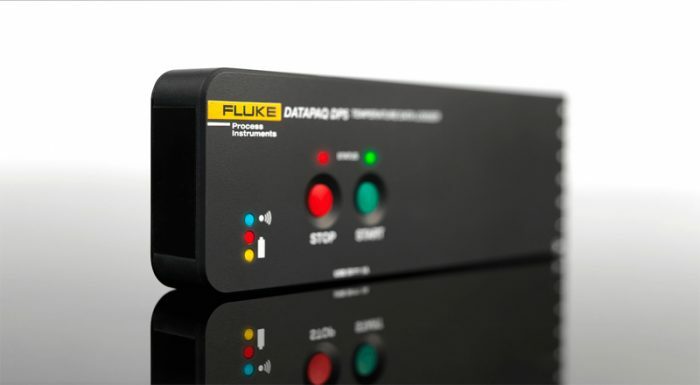 The Datapaq DP5 is supported with a full one year warranty. Complementing the warranty, we offer a yearly service and recalibration contract, which includes free software updates and loan equipment for guaranteed peace of mind. For more information, please visit http://www.flukeprocessinstruments.com.